An ideal visit to Epcot relies heavily on a few factors: Your children's school schedule, your budget, your ability (or desire) to handle extreme weather, or your penchant for special events can all play a significant role in your planning. Overall, the best time to visit Epcot is January and February. During these months, the weather is pleasant, and there aren't too many kids at the park. However, the expected crowds can change from month-to-month. Epcot is a bit different than the other Disney parks because aside from a few family-friendly rides, the visitors tend to skew older. This means that summertime may not be as crowded in this park as the Magic Kingdom, but could worsen around the holidays. 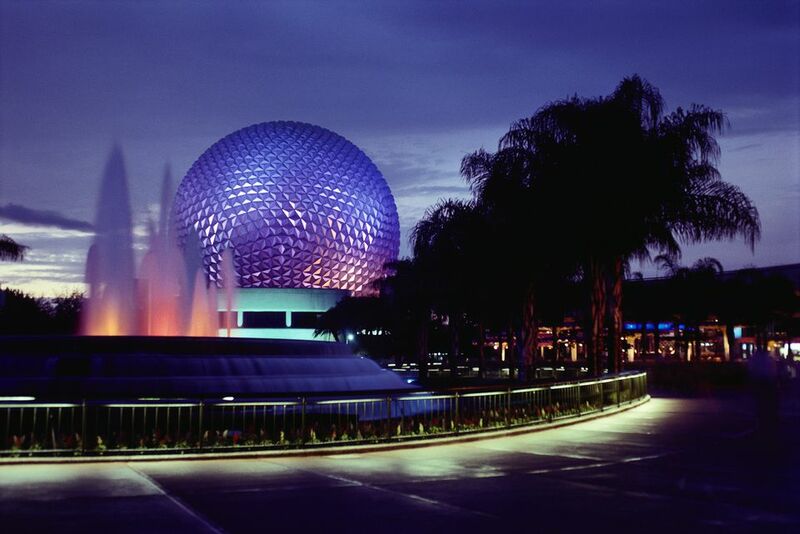 Epcot, which stands for "Experimental Prototype Community of Tomorrow," is what became of Walt Disney's vision of building a thriving community. It is made up of two distinct areas, Future World and World Showcase. Future World has a good amount of thrill attractions such as Soarin', Test Track, and Mission Space, as well as more educational rides like Living with the Land and Spaceship Earth. The World Showcase offers a trip around the globe without needing a passport. Comprised of 11 pavilions representing countries like Japan, France, Morocco, and China, you'll be able to get a taste of each region's culture through foods, shopping, educational films, and more. The World Showcase is probably most well known as a drinking hub for guests looking to relax with a cocktail out of the Florida heat. In the past, the World Showcase was not popular with families, due to the lack of activities for young children. However, the completion of the Frozen Ever After ride (that replaced Norway's Maelstrom) in 2016 has coerced Anna and Elsa fans to come to this area, at least for one ride. How Much Does It Cost to Visit Epcot? A single day ticket to Epcot won't cost as much as one to the Magic Kingdom, so if you don't mind sticking to one park, you should purchase a daily single park ticket, no matter what time of year you visit. Surge pricing, which was introduced in 2016, does apply to Epcot, and it's modeled after Disney's hotel pricing structure. Each day of the year is classified as either a “value,” “regular,” or “peak” day. Since pricing is calculated on a day to day basis, you may find that visiting on Christmas Eve is more expensive than going on a weekend day during the summer, depending on past attendance records. Florida is very hot and humid in the summer, and milder in the fall, winter, and spring months (from about October through May). Since Epcot has a plethora of indoor areas, it's an excellent choice for visiting midday if you don't want to return to your resort or go for a swim. Hurricane season is June through October, but it is unlikely that a hurricane will hit Florida during your stay. The summer months bring the biggest crowds, but since Epcot is the least kid-friendly park, if you must visit during June, July, and August, your best bet is to stay in the World Showcase and avoid Future World completely. September is typically a slower time at Disney World, but since the International Food and Wine Festival kicks off this month, Epcot is quite crowded this time of year. If you genuinely want to avoid a packed park, January and February are the best times to visit. If you are staying at one of Disney World's on-site resorts, you should take advantage of the Extra Magic Hours program. While dates are subject to change, as of January 2018, Extra Magic Hours are offered at Epcot on Tuesday evenings and Thursday mornings. You should plan on visiting Epcot on these days, and you'll get some private time in the park, and little to wait for popular attractions. If you're not staying at Disney resort, it's best to avoid visiting Epcot on days that offer Extra Magic Hours, as this perk will undoubtedly draw more visitors to the park. If you want to explore Future World, head to Epcot as soon as it opens, and you'll be one of the first in line for popular attractions like Test Track and Mission Space. This will severely cut down on your wait time for whichever ride you choose and give you the freedom to use FastPass+. If you prefer World Showcase, arrive by 11 a.m., and you will be one of the first visitors to enter this area. Consider stopping by Soarin' on your way, since you will pass it anyway, and this is your one chance to ride sans FastPass+. Additionally, the immensely popular Frozen Ever After ride at the Norway Pavilion has extremely long lines by mid-morning, so either head there immediately upon entering the park, or, make your Fastpass+ reservation as close to the 60-day advanced booking window as possible. While you might have to fend off spring breakers, spring can be an excellent time to visit Epcot, as the weather isn't quite as warm as summer. More than 30 million blooms come alive in March when the park hosts the Epcot International Flower & Garden Festival. Crowds, heat, and more crowds! Unlike some of the other parks, Epcot has more indoor areas, so a summer visit can be bearable. Every summer, Epcot hosts its Sounds Like Summer Concert Series at the America Gardens Theatre. The concert series brings in acts ranging from rock to pop to R&B. September is an ideal adult-friendly time to visit Epcot, as most kids are back in school and summer's buzzing crowds have dissipated. Epcot International Food & Wine Festival brings 75 days of gourmet cuisine and wine to the park. Needless to say, this event—one of America's best food festivals—is a popular one. Winter weather in Florida is pleasant, especially for those visiting from northern climates. While Christmas is busy, January and February are pleasant times to visit. Get into the holiday spirit at Epcot International Festival of the Holidays, when 11 showcase nations display their unique holiday traditions and more.